Good for the environment. No plastic parts! 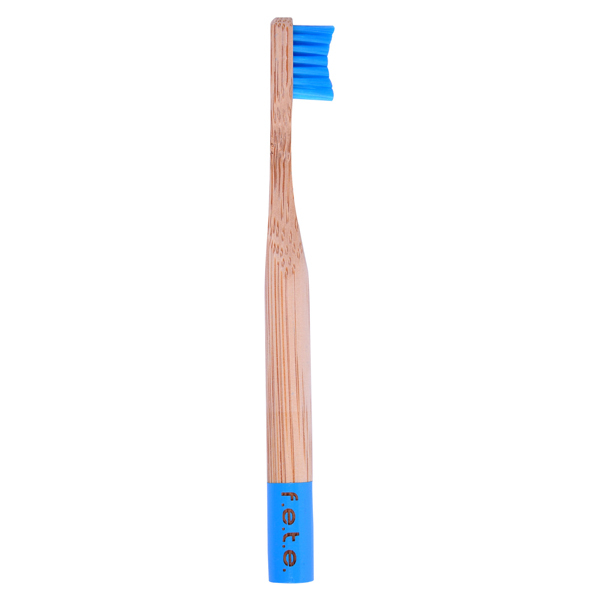 Handles are completely biodegradable and the bristles are made of nylon that can be pulled out and recycled where possible. Even the packaging is made from recycled card and can be recycled again. Improves the environment because of the reduced plastic waste going to landfills. Handles can be re-purposed as garden markers or craft items, etc. Use after every meal for best results and brighter smiles! Each box contains 4 individually wrapped and boxed toothbrush. Each of the four toothbrushes in a box has a different colour on the lower end of the handle for easy identification by family members.